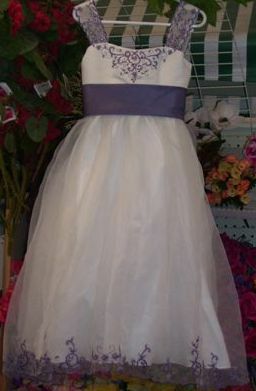 Bridal party dresses from Bridesmaid to Flower Girl Sizes. 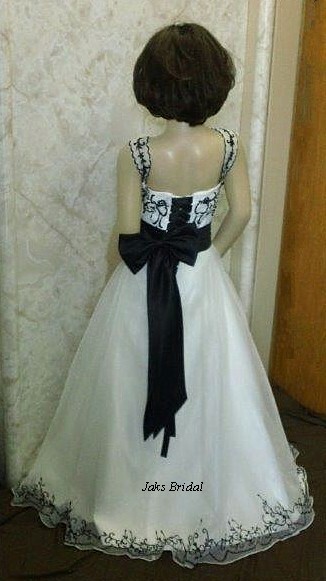 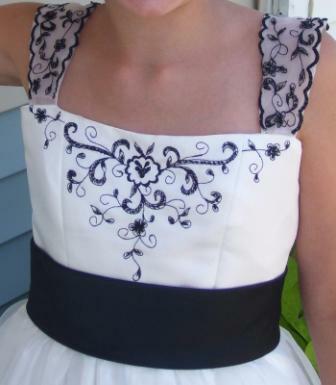 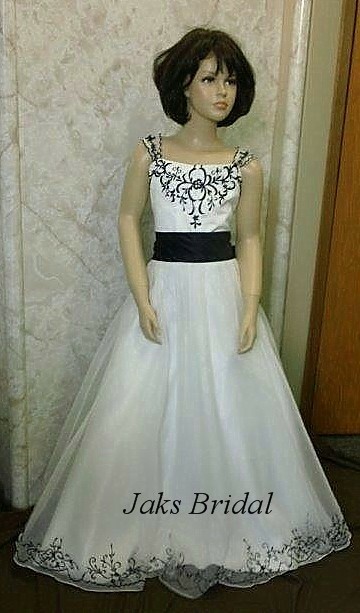 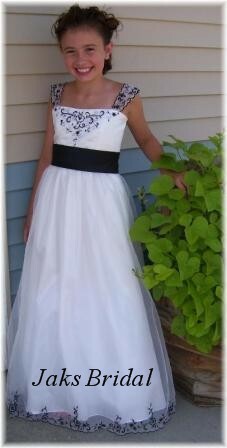 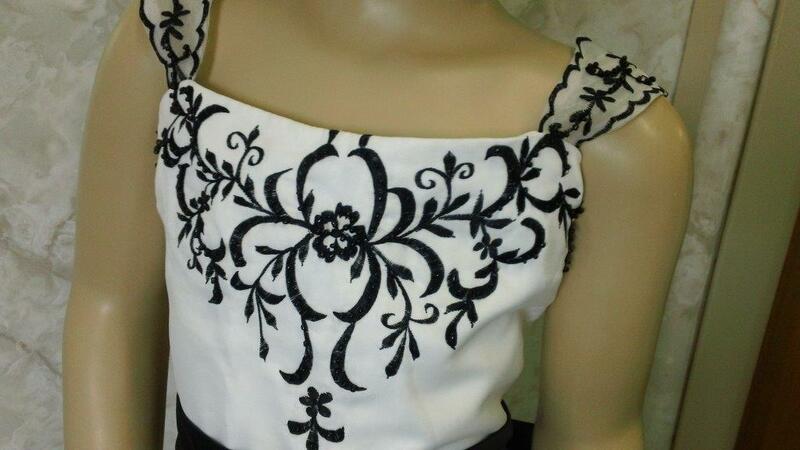 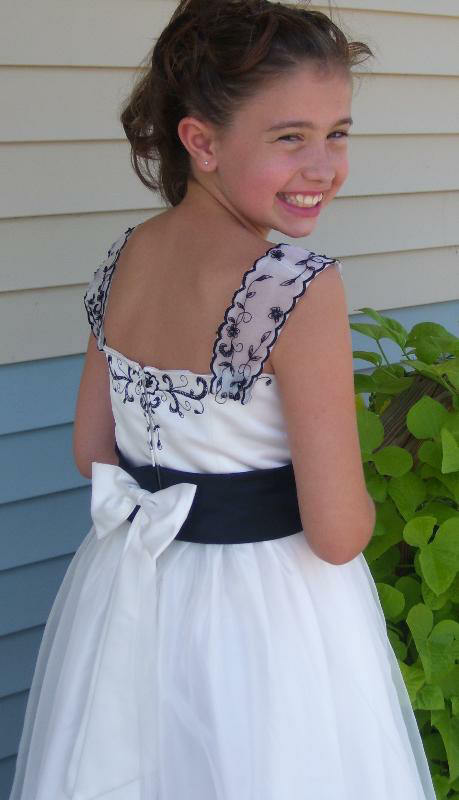 Black & White bridesmaid dress with matching flower girl dress. 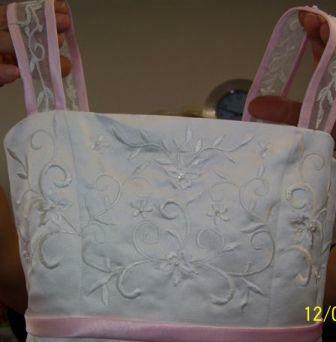 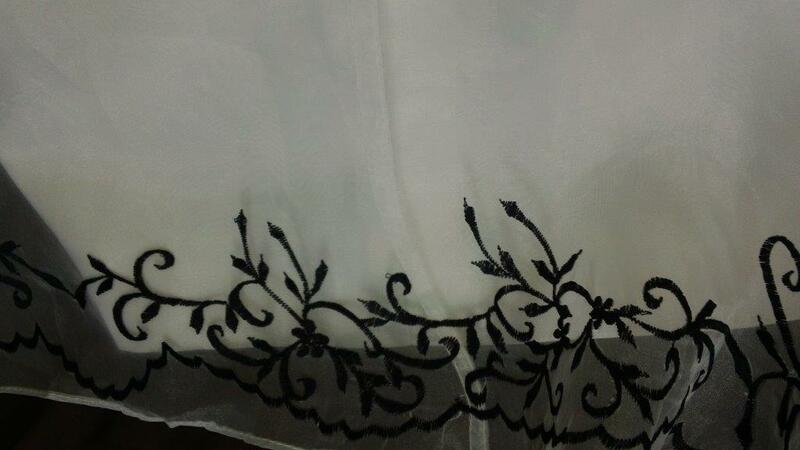 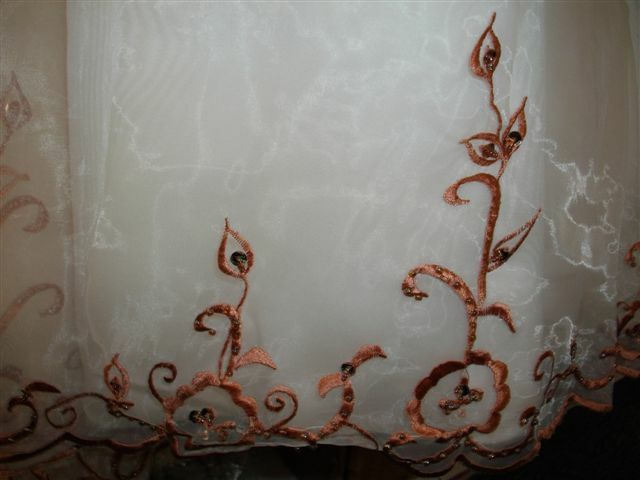 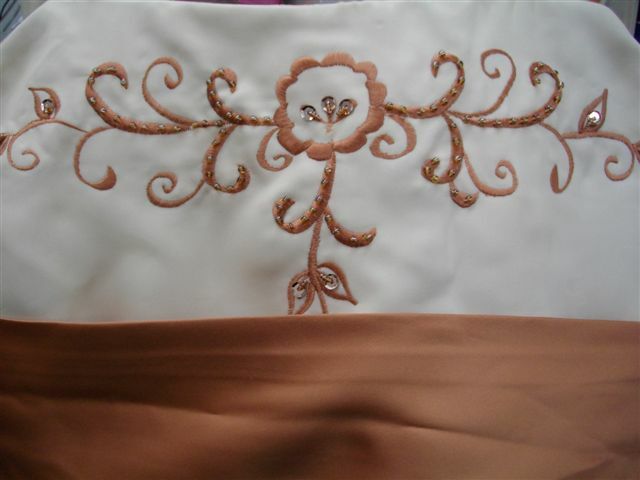 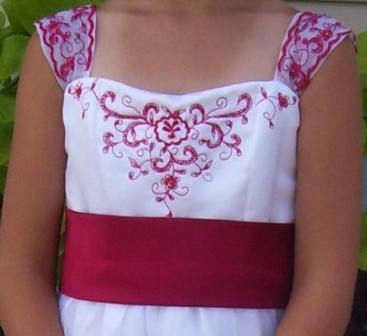 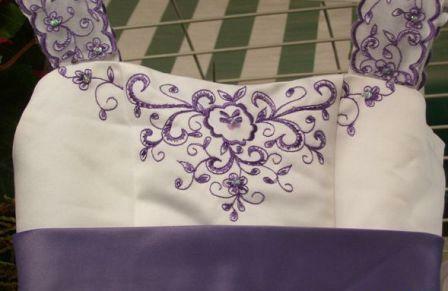 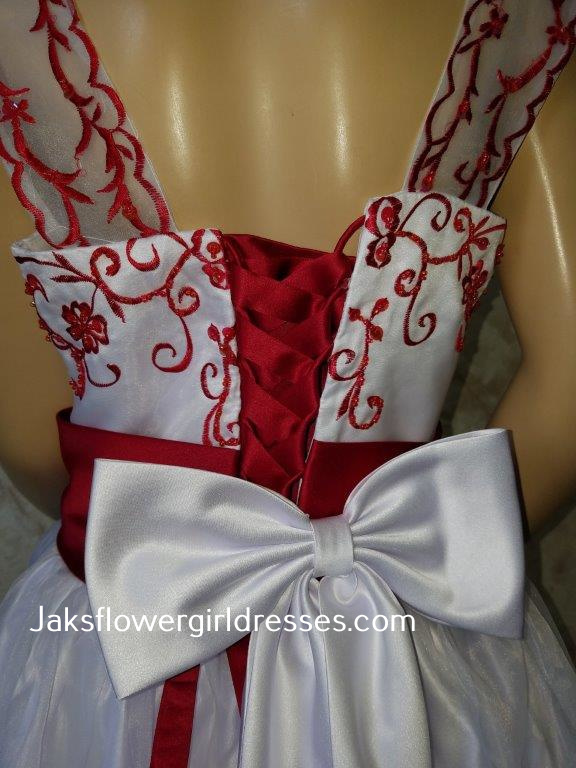 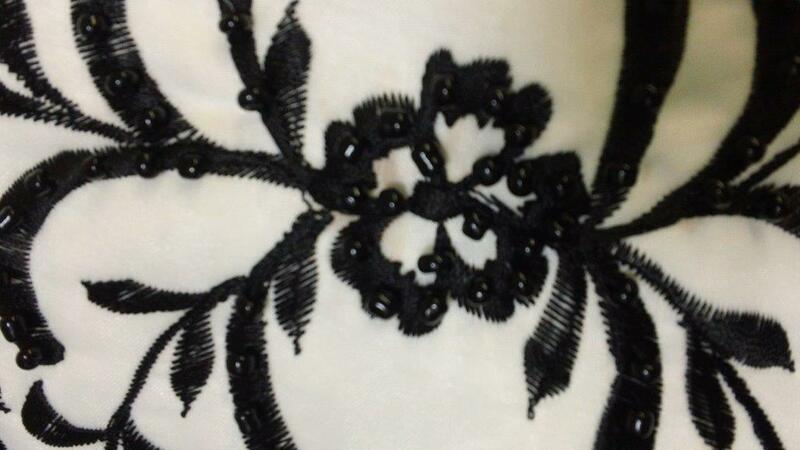 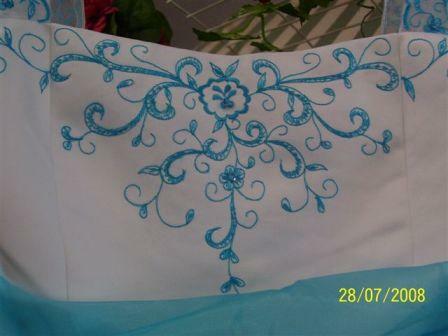 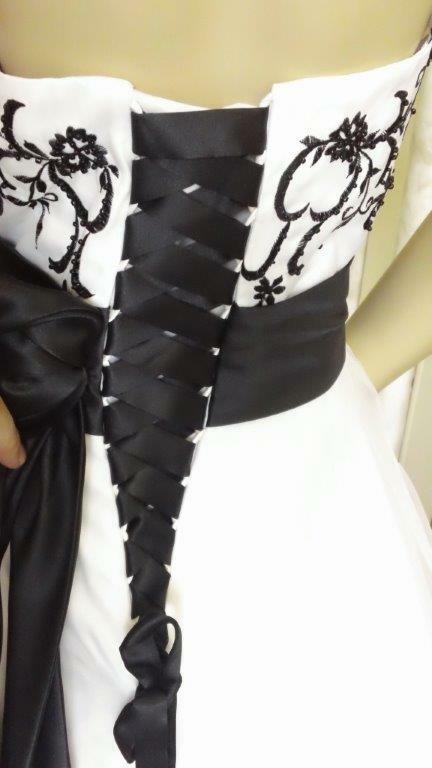 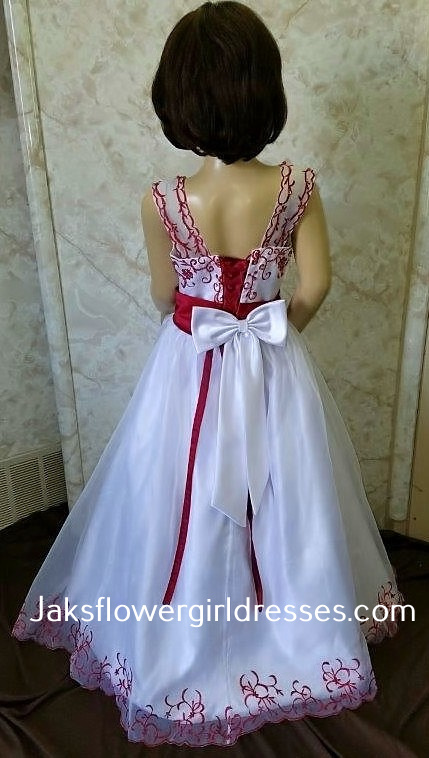 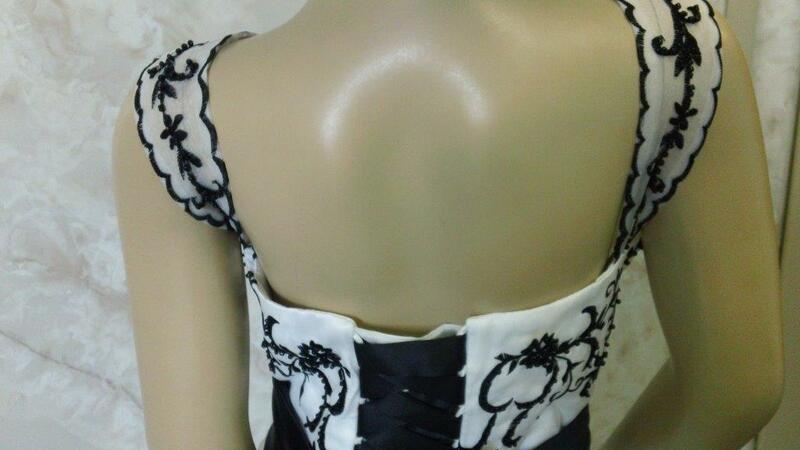 has a sewn in contrasting sash, with a white bow on the back. 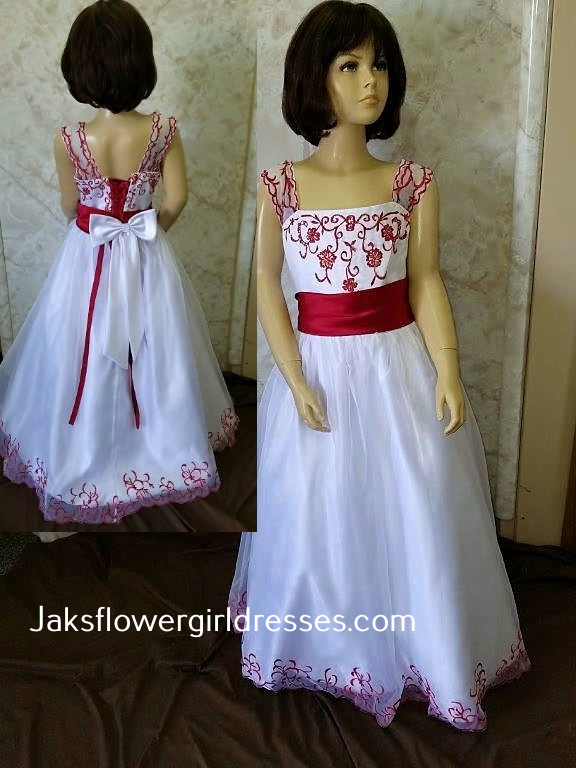 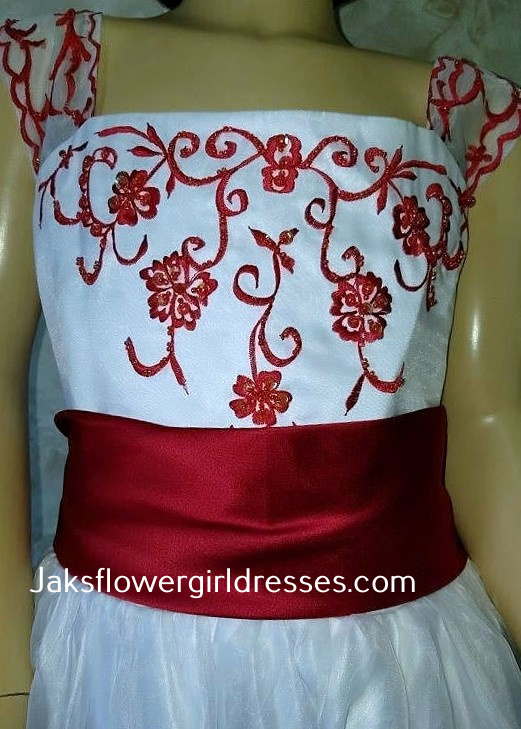 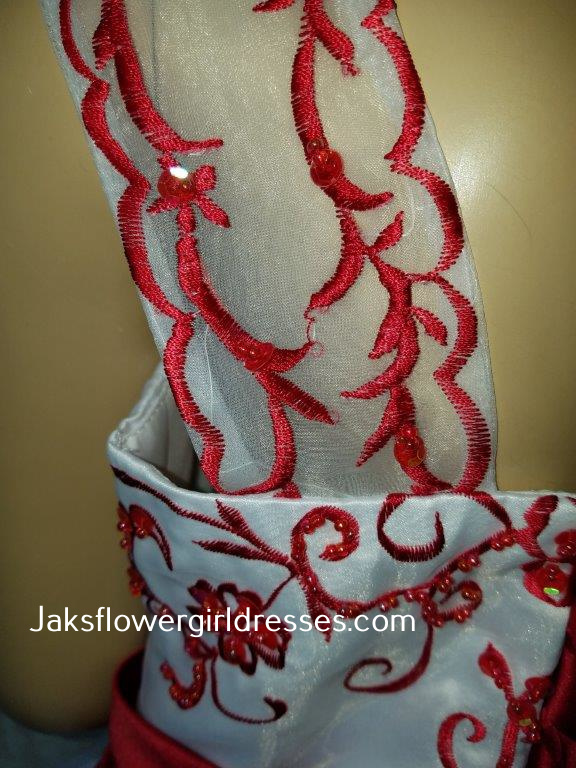 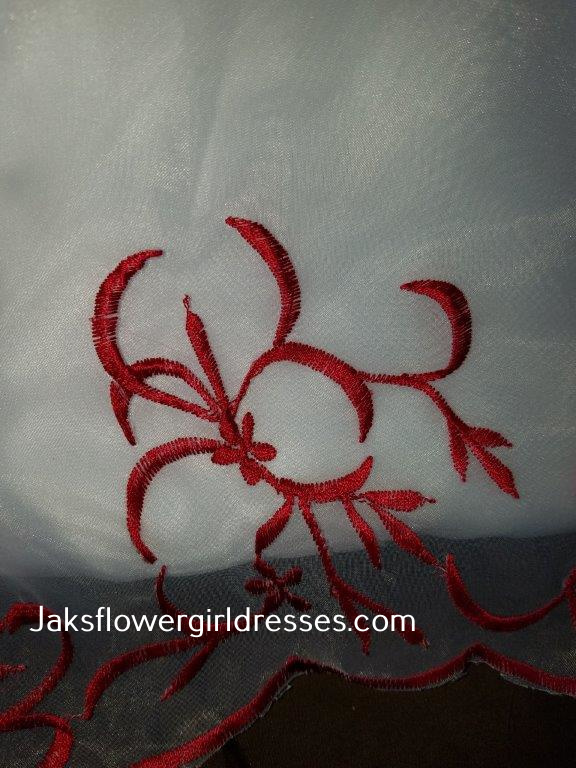 Outfit your Bridal Party at Jaks in matching colors or styles. 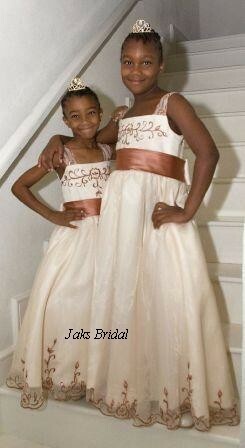 Light Champagne and copper penny flower girl dresses.